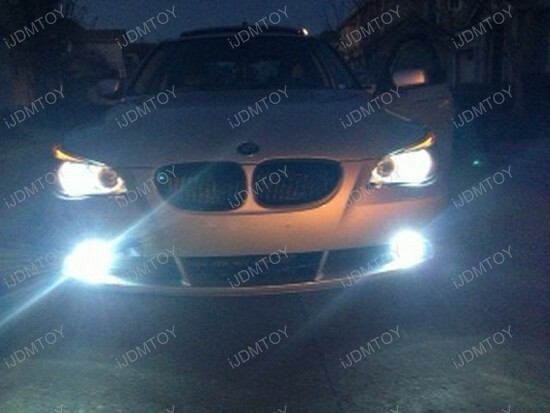 Today’s 2004 BMW 545i is a great example how you can upgrade BMW E60 5 Series with HID Fog Lights. The owner needed intense light and energy efficiency at the same time when driving in bad weather and he installed these amazing super bright HID Fog Lights. For this model the stock 9006 halogen bulbs were replaced with HID Conversion kit that functions properly, thanks to the additional Error Free Can-bus decoders. iJDMTOY offers complete lineup of HID kits – the only way you’ll ever feel completely confident behind wheel when you’re driving on a dark road at night. The road you can see, the better driver you are and the safer you feel when passenger are on board. 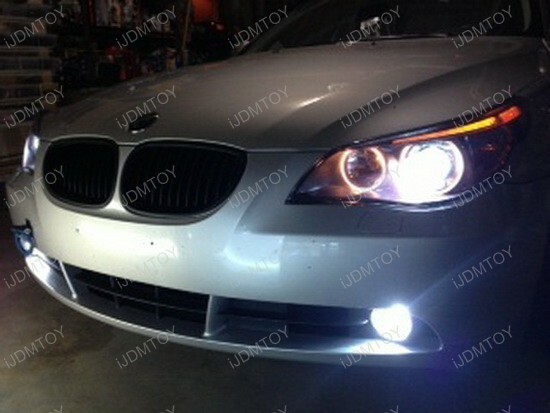 Replace those dim yellow halogen BMW fog light bulbs and increase their brightness 3X with this awesome HID fog lights upgrade kit. With the state of art reverse polarity protection and shock protection system, the installation is virtually fail-safe. Installing the featured HID Conversion Kit requires some time, but you don’t have to call car expert, unless you want to. The rear of the fog lights is accessible through the inner front wheel well cover. Just remove a few bolts inside the fender well and some under the front side of the bumper. Peel the inner fender well back to access the fog lights without completely removing it if you want. Unplug the halogen fog light bulb and remove it from the fog light. Replace it with the HID bulbs, fasten or zip tie the ballast and wires, then compare the OEM side to the HID side and if happy, replace the other side, too. If lights don’t work at first, please turn the extension / adapter wire 180 degrees and test again. 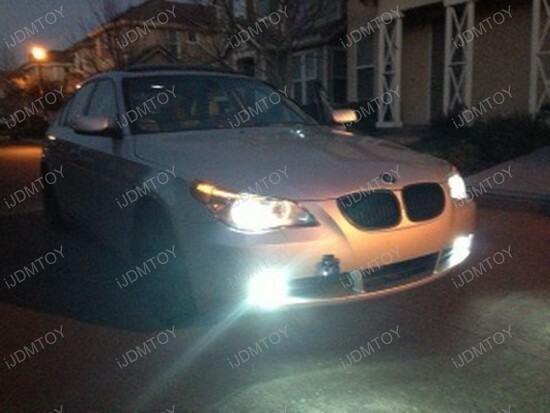 This HID Fog Lights kit from iJDMTOY really adds another dimension to driving at night car like this 2004 BMW 545i. Unless you have HID light kits installed, you’re really missing out, so don’t waste any more time and opt in for HID Fog Lights that will enhance your safety. 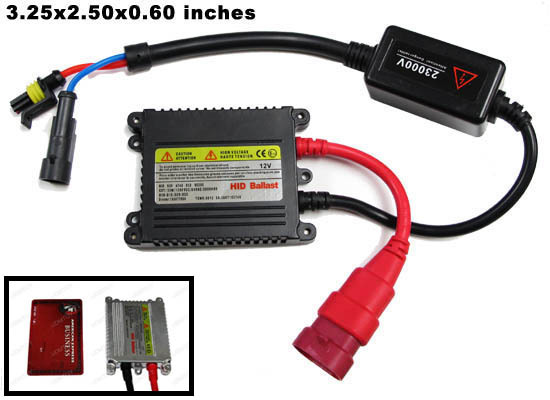 For European cars, in order to make sure the HID conversion kit function properly, please add the Error Free CAN-bus decoders during the checkout. 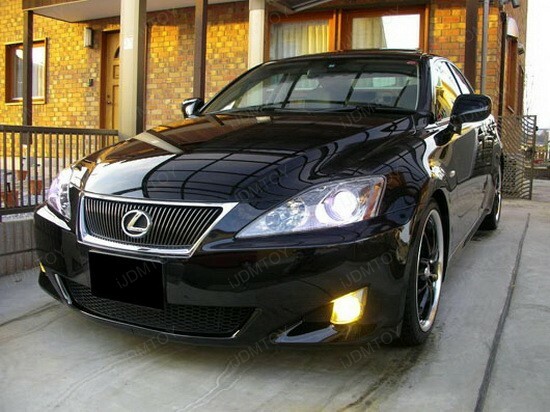 One customer took the picture for his 2006 Lexus IS250 installed with JDM yellow halogen lights from us. It makes any car more visible compare with the stock bulbs. These kinds of golden yellow halogen xenon gas bulbs will fit bulbs size: H1, H3, H4, H10, H11, 9004, 9005, 9006, 9007, 9145, 880, also fit 2006 2007 2008 2009 2010 2011 2012 Lexus IS250 IS350 and IS-F.
Our yellow halogen bulbs are used for fog lights or daytime running lights and give your car a fresh new style look! Looking for the JDM yellow halogen lights? Please click the link below for more details. One pair (2) Super Yellow Xenon Halogen Bulbs. Give your vehicle a fresh new style with a set of JDM Yellows!